Surrogacy is when someone else carries a baby for a couple who are unable to carry the baby themselves. A married couple want a child and look abroad for a surrogacy match. A surrogate mother is a woman who carries a child by virtue of an arrangement to do so. A surrogacy arrangement is entered into by parties who want to be parents (the prospective parents) but need the help of a mother to carry the child. The arrangement must be made before the mother begins to carry the child, and is made with a view to the child being handed over to the prospective parents after the birth. The prospective parents will look after the child (exercise parental rights in relation to the child). 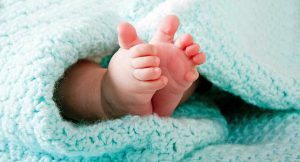 Agencies involved in the setting up of surrogacy arrangements for profit are illegal in the U.K. There are some voluntary organisations but they are unregulated. There are legal surrogacy agencies in certain countries abroad. But you must be sure that they are regulated, and you must give consideration how you will bring the child back to the U.K. after birth. How do I go about having a child by Surrogacy? Obtaining legal advice is crucial. Surrogacy arrangements are not enforceable in the United Kingdom. When the child is born, the mother will immediately have parental rights and responsibilities for her child. If the surrogate mother is married, then her husband will acquire those rights and responsibilities as well. If the child is handed over to the prospective parents, they still need to legally acquire the rights that they will need to become the children’s legal parents. If the child is not handed over then the arrangement cannot be enforced. Going abroad to enter into a surrogacy arrangement where commercial arrangements are not illegal should not be embarked upon lightly. Again, legal advice is crucial to avoid the myriad of potential pitfalls both legal and emotional along the way. What happens after the child is born? Time is of the essence for the prospective parents or applicants to apply to the appropriate court (in Scotland it is the Court of Session or the Sheriff Court in the place where the child resides) to make an application for an order to provide that the child is treated in law as their child. The applicants must be husband and wife, civil partners of each other or two people who are living in what is called an “enduring family relationship”. Both applicants need to be 18 years old. In most cases the application must be applied for in the first 6 months of the child’s birth. The child must be living with the applicants at both the time of the application and the time of the making of the order, and one of the applicants must be domiciled in the United Kingdom. The court must be satisfied that the surrogate mother and anyone else who is a parent of the child but not one of the applicants freely consents to the making of the order. No money or other benefit other than for reasonable expenses should be given or received by either of the applicants. Most importantly, the welfare of the child throughout its life must be the paramount consideration of the Court when considering an application. 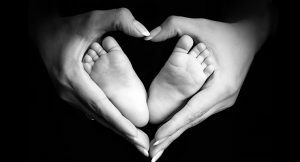 If you need legal information about surrogacy then please contact us.